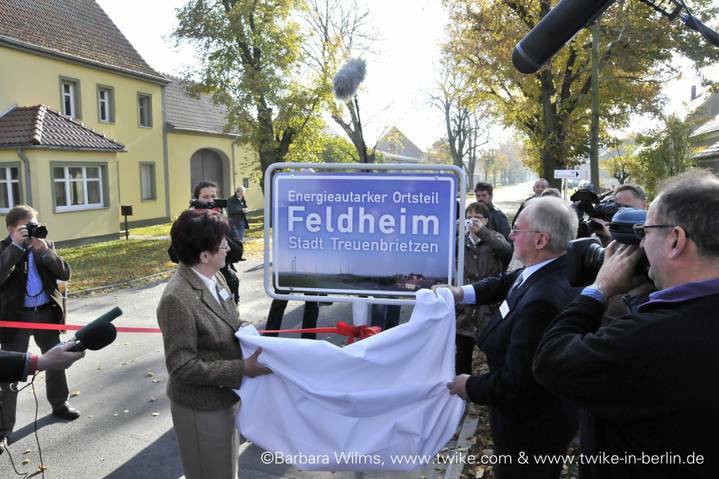 The village of Feldheim, located in the town of Treuinbrietzen in eastern Germany's state of Brandenburg, supplies power and heat for its 145 inhabitants with entirely local renewable resources. Electricity is produced by modern wind farms and a photovoltaic solar energy park built on a former military base. A next generation accumulator is planned for a next stage of development to help balance the fluctuating wind supply. Heat is made by a biogas plant fueled by wood chips. 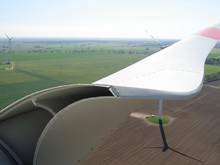 Financing of the renewable energy for Feldheim came from a pooled effort by the local energy consumers, the municipality, the local utility and additional support by regional government and EU funds. The effort has paid off. The town has zero unemployment, compared to 30% unemployment in other villages in the area, with most residents working for the town's renewable energy sector. Feldheim cites energy security, a positive image, stable energy prices, and protecting future generations from environmental damage as other positives that they are gaining from their 100% renewable energy choices.